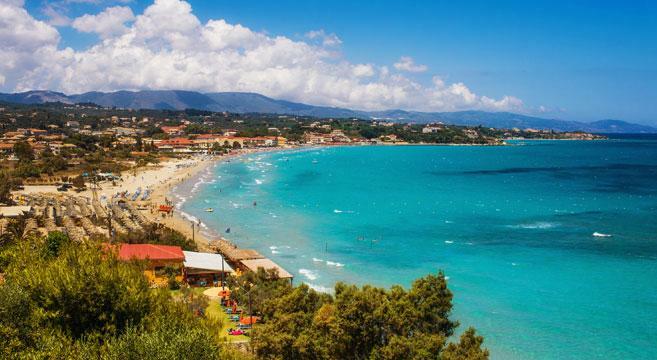 This beautiful island in the Ionian Sea is a holiday paradise. 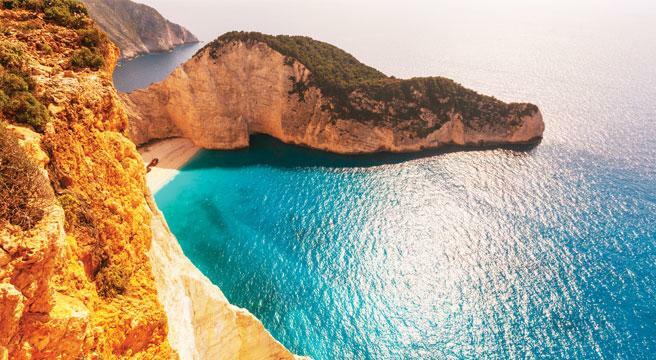 Smaller than its sister islands of Corfu and Kefalonia, Zante is a gem, edged by superb sandy beaches and set in astonishingly clear waters. 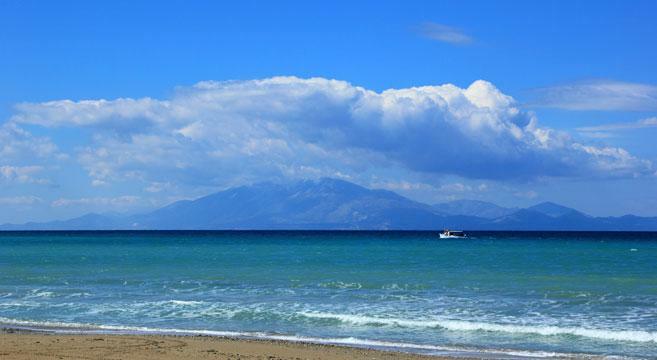 And located just a few kilometres north of Zante Town is the popular resort of Tsilivi. It is popular for a very good reason: the sweeping sandy Blue Flag beach that shelves gently into the sea. There are sun loungers to hire, water-sports to try and beach bars galore. 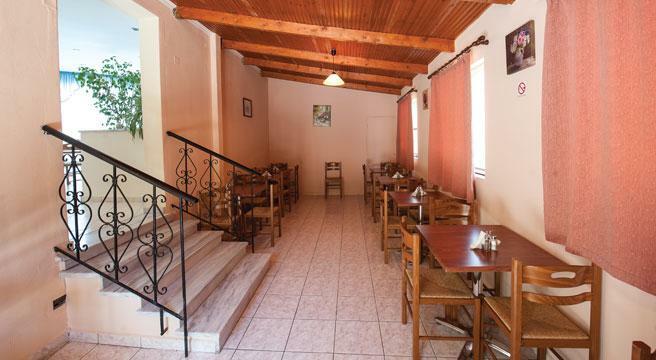 Tsilivi is a magnet for holidaymakers and locals alike and our budget-friendly Houseparty is just 150m away from it, set on a small side road that leads only to a handful of other properties and the beach itself. 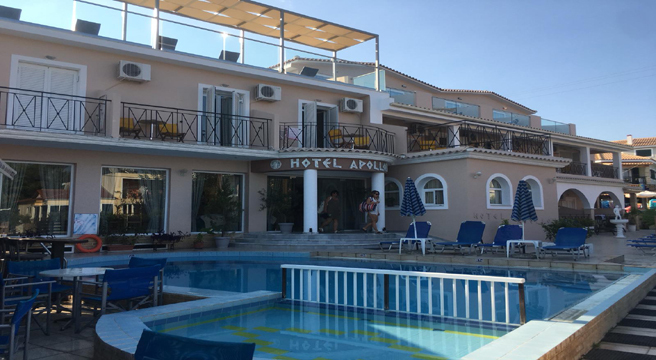 Our Houseparty at the Apollon Hotel is a great choice for those who love to be close to the beach and all the action, enjoying a very sociable holiday with lots going on right on the doorstep. Come for a week to enjoy the sun and the sand; but come for a fortnight if you really want to discover the island’s dramatic cliffs above hidden coves, its wildlife from seals to turtles, its ancient history and its food and wine. The addition of 5 roof terrace rooms in 2018 means that the Apollon now offers 24 rooms set over 3 floors. We have departures every week throughout the season, including school holiday dates, which makes this a great choice for those working in education: book early to secure best peak season flight prices. 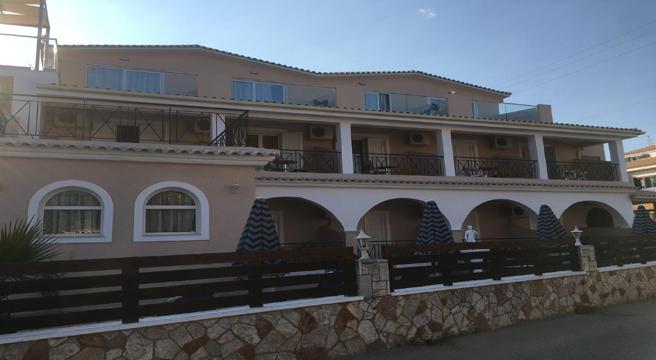 This is a popular Houseparty thanks in no small part to the warm welcome extended to us by Dionysios and his family who are rightly proud of this simple but very well-located hotel. The tiled courtyard at the front of the Apollon has a small pool in which to cool off, and guest loungers and parasols. Our board basis here is a continental breakfast each mornings and dinner on 5 nights of each week. In the Apolis bar the friendly staff make great cocktails, and create tasty, simple dishes ranging from traditional Greek food to popular pizzas and pasta dishes. The Apolis is popular with residents and passers-by alike! The small lobby lounge is beside reception in the centre of the hotel, with the rooms in wings on either side. Our Houseparty dominates the hotel each week, but we allow Dionysios to retain 5 rooms for his own guests. Local Tax - A Room Rate Levy applies all arrivals on the island from 1 June 2018 (regardless of booking date). The charge is €1 per person per night, and is collected on behalf of the Government at check-in, by the hotel. It may be paid by credit card. The heart of Tsilivi is no more than 10 minutes’ stroll from the Apollon, with plenty of bars and attractions from a bowling alley to the water park, and a host of water-sports to try. 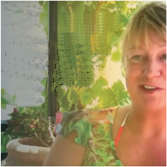 Your Host has plenty of recommendations for dinner on the 2 nights a week we eat out at own expense. Zante Town (about 6kms away) is well worth the bus ride: beautifully-restored buildings and pedestrianised streets leading up from the waterside Plateia Solumu make it a civilised morning or evening trip. There’s a big choice of excursions so no fear of being bored on a 14-night holiday. 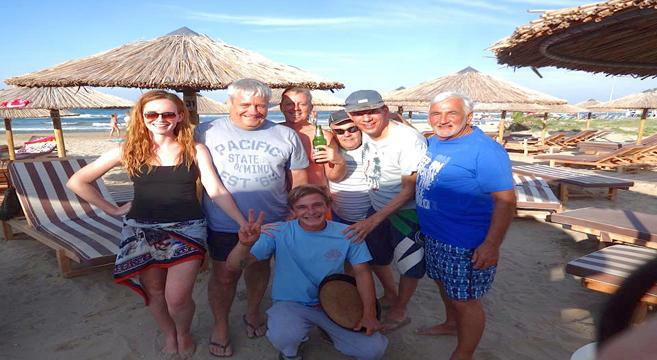 Optional trips range from a boat trip to Kefalonia or a ferry to the mainland to visit the original site of the Olympic games, to a round-island jeep tour or a tour of ‘secret’ Zante. All rooms have high ceilings and have been renovated in recent years. They are a good size, and airy, with air-conditioning if needed at extra charge. Each is simply-furnished with a double bed, or twin beds matrimonial style, and a small shower room, satellite TV, a hairdryer, kettle and mini-fridge so you can keep bottled water cool. A room-safe is also available at extra charge. Our prices are based on ground-floor rooms with a terrace, with supplements payable for 1st floor rooms with balconies, for full sea views and for the new rooftop terrace rooms. 1st floor Balcony room £5 per night; full Sea View with balcony £9 per night; Rooftop Terrace room £15 per night. Want to fly from your local airport? Unlike other companies you may be looking at, as part of our Friendship Travel service we offer the flexibility of flights from most UK airports. 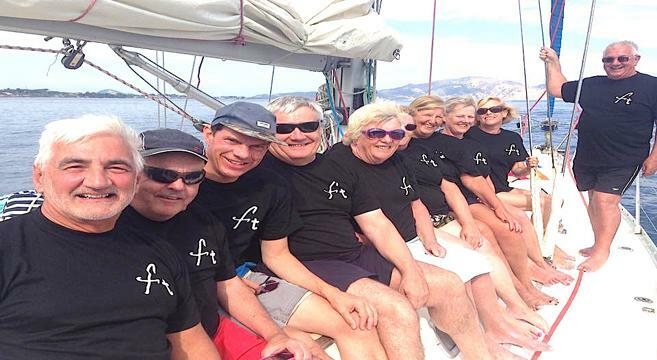 Book a 14-night holiday starting 2 May or 3 October 2019, pay Friendship Travel for 7 nights and then pay the hotel just £119 for your 2nd week - saving up to £196. Must be booked by 31st January 2019. ATOL-bonded flights from Gatwick. Up to 14 regional options: supplements may apply.